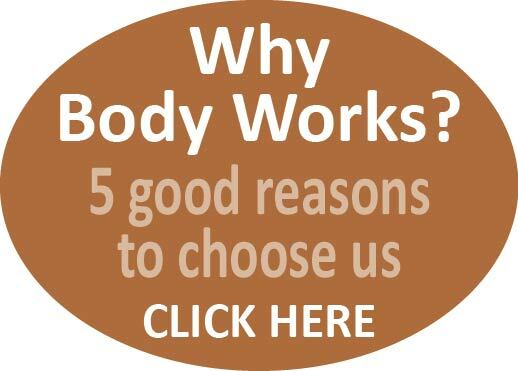 “Having been told by my GP that the strange symptoms I was experiencing as a result of a back problem were due to stress and that I should try Pilates, I contacted Theresa Bell at Body Works. I was so relieved and elated to be told on my first appointment with her that my symptoms were real and a result of the peripheral nerves becoming inflamed due to my lower back problem. I was taught some basic Pilates exercises to be carried out at least twice a day at home and within a week my symptoms had disappeared. I was also able to walk without pain using my core muscles as instructed. I have continued to see Theresa weekly over the last two years for studio Pilates sessions and also on numerous occasions as a physiotherapist when having acute episodes of pain. She always seems to know exactly where the problem is and I always leave feeling so much better than when I arrived… and what’s more it is fun! Ruby aged 9 attended 4 physiotherapy sessions for longstanding lower leg and heel pain when walking and ballet dancing. After 4 treatment sessions (which included soft tissue massage, stretches, advice and exercises to improve leg alignment, strength and calf flexibility, reduce pain and improve alignment when walking and doing ballet) Ruby was discharged by Theresa as her pain was significantly better and leg biomechanics improved. She has since passed her ballet exam she was preparing for. “I started Pilates to ease back pain (sciatica) and Body Works has been instrumental in helping me along the road to recovery. Working in he studio based classes is always fun and even on one of my ” bad days” there is always something I can do. I have seen a reduction in my symptoms and an improvement in my posture and strength, I am back working full time. I have on occasion required “hands on” physiotherapy and acupuncture – booking appointments was quick and easy, no waiting around for weeks. “I suffered from debilitating headaches almost every day. The GPs eliminated “serious” illnesses. Painkillers weren’t working. I felt I was on my own. I started to go to Body Works and immediately felt I was being taken seriously. The combination of treatment and simple exercises brought noticeable improvement. My headaches diminished week by week and by the end of the course I was feeling so much better.